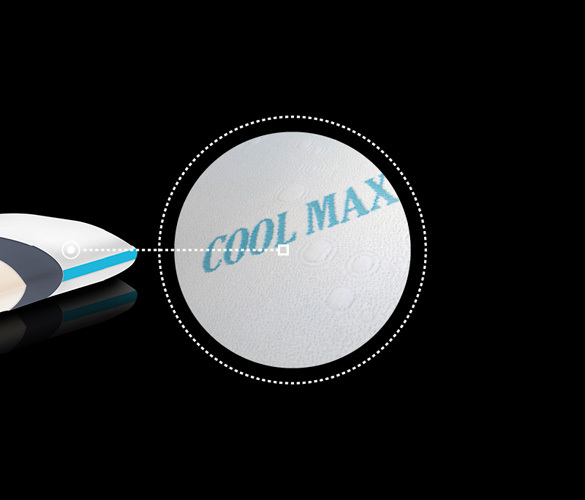 CoolMax® is a high-tech fabric that can offer an incomparable feeling of freshness and comfort. 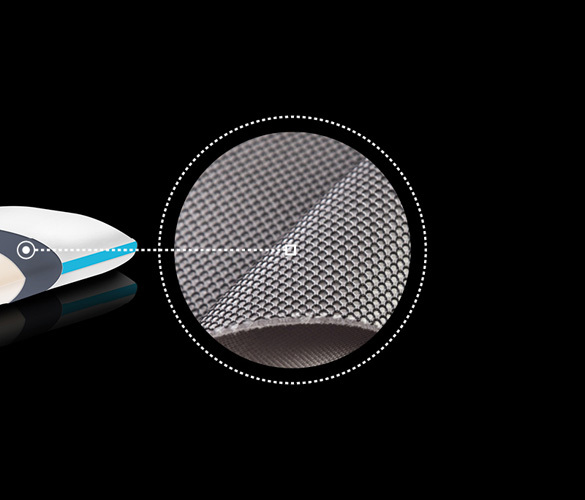 The CoolMax® fabric is produced with special hollow fibers of Dacron polyester in 4 or 6 channels that widen the surface: this special shape promotes the moisture away from the skin, pushing it towards the outer layers of the fabric where it dries faster facilitating the body thermoregulation. 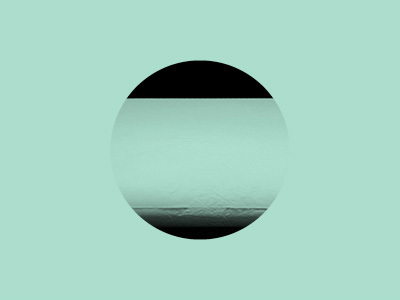 Static: conductive carbon fibers absorb and dissipate electric charges accumulated by the body during the day, thus giving an anti-stress and relaxing effect. Bacteriostatic: the carbon is able to eliminate a broad spectrum of microbes , by acting on the cell wall of microorganisms. Temperature-regulating: Carbon is an excellent conductor of heat and thanks to this peculiarity dissipates the excess heat , keeping the body at an ideal temperature. Natural: contains no chemicals and is completely non-toxic. Permanent: its natural characteristics do not decrease over time and are resistant to washing. Extensive studies in the field of ESD ( Electro Static Discharge), have shown that the problem of control of static and electric fields variables refer to any type of environment. The human body is affected by the presence of these natural phenomena and carbon it improves the electrical performance of the human body encouraging their regular blood circulation and cell oxygenation. The above it has emerged from the tests carried out at the "Training Center Development" Como that have demonstrated tissue capacity Resistex® Carbon dissipate more quickly the electric charges of the body compared to other tissues with synthetic fibers or natural fibers. 3D Mesh is a warp-knitted three-dimensional fabric that provides exceptional breathability. Built into the soul of the cushion and the cover, 3D Mesh creates an insulating air layer that allows the B.Pillow to maintain a constant temperature close to 37 degrees even after many hours of use ongoing. Cycling - B.Pillow Violet Foam is a high-resilience polyurethane foam produced by shaping process. 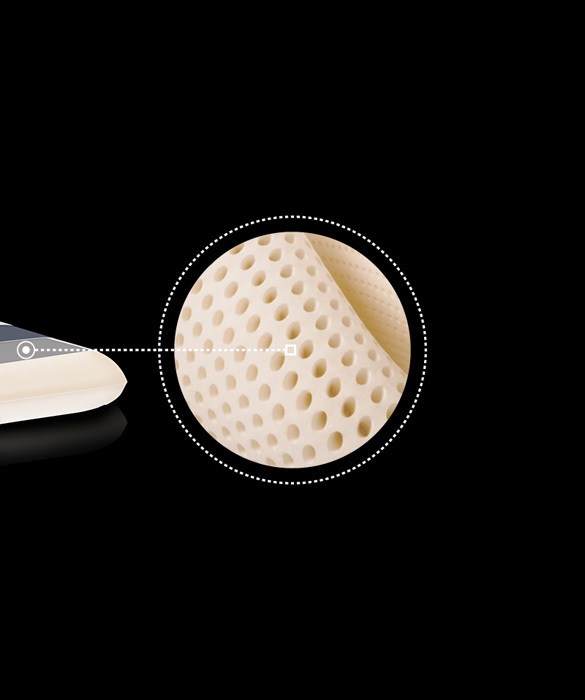 Ergonomic and elastic, it is enriched with mallow extract, known for its anti-inflammatory properties. 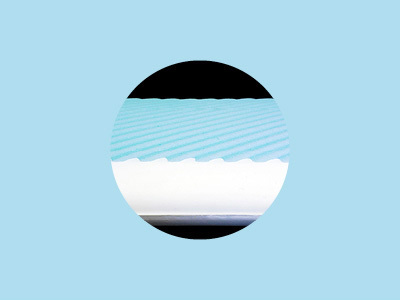 Running and Cross Training - B.Pillow Blue Foam came from research on colloidal systems. It is an extraordinary non-toxic polyurethane foam, free of plasticizers and volatile substances, which promotes a pleasant feeling of freshness. Triathlon - B.Pillow Grey Foam is a viscoelastic foam, with a very high density of unlimited duration, characterized by a compactness that guarantees unbeatable results. Maximum performances are the result of sophisticated and advanced searches. Golf - B.Pillow HD Foam Bio-Aloe born from the union of B.Pillow HD Foam with Biogreen. In recent years the increasing interest in products that guarantee maximum relaxation in harmony with the environment, in order to recover materials and energy through natural methods. Biogreen, obtained from raw materials renewable, natural and not contaminants, introduces new concepts in the world of sleep: made of essential oils natural and enriched with aloe extract, allows a healthy rest in contact with natural elements able to lower the degree of stress. The breathability is ensured by microcell obtained with the plant seeds of intake that, maintaining a high level of fluidity at each temperature, ensure a suitable body conditioning. B.Pillow HD Foam is a unique viscoelastic foam with high density, heat sensitive, produced through the process of "Shaping". A slow memory has a value close to zero resilience which allows it to take the shape of the body that need to be supported. The result is an unequaled comfort since every part of the neck is supported in function of the weight and pressure exercised, not forcing then to the unnatural postures that would force the muscles to contract in the cervical area. The high density and the particular reactivity, with stabilizing effect on the neck, ensure a slow and long-lasting return of the material. B.Pillow HD Foam: ergonomic, hygienic and breathable is a water foam, the result of advanced technology and built with the maximum respect for the environment: the L.G.A. certifications, and Ökotest L.N.E. attest this value.